If you are a first-time entrepreneur, it would be common for you to think that company secretaries fill a merely perfunctory role within your organisation. After all, it seems that their only function is to remind you of compliance dates and timelines, and to be there at company meetings to take down notes—naturally, you might think that just about anyone, even your adolescent nephew, can do the job… right? Minutes of general meetings and board meetings. A register of past and present directors and secretaries. A register of all shareholders, past, and present and their shareholdings. A register of any charges on the company’s assets. A private limited company’s company secretary does not have to possess any formal qualifications. However, as the entrepreneur that owns the company, or as the Director, you must ensure this person is knowledgeable enough to fulfill his/her function as the company secretary, as he/she is an officer of the company, therefore, can be liable for defaults committed by the company. This is one of the most compelling reasons why companies commonly appoint a professional firm, such as Rikvin, to act as their company secretary. The advantage of this is that the members of the company are assured that all company compliance matters are being dealt with due care and professionalism. Other company secretarial duties may include: maintaining the company’s statutory registers, ensuring that statutory forms are filed on time, organising the company’s board meetings and Annual General Meetings, sending the Registrar copies of resolutions, and updating ACRA records. 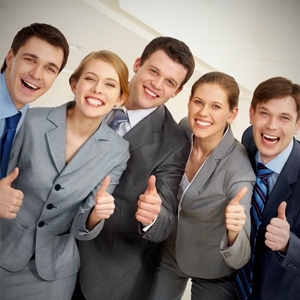 Therefore, you can see that the company secretary plays a significant role in your company’s operations. Default or failure on the company secretary’s part can actually cost the company thousands of dollars in statutory fines as well as criminal liability for the directors in some cases. 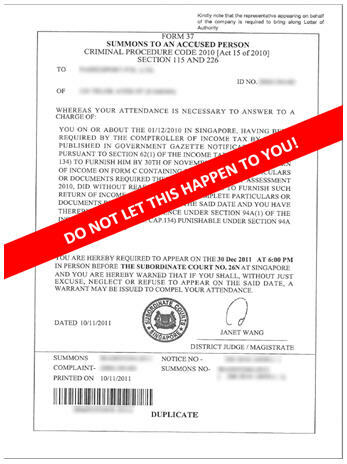 A summons may be issued by government authorities such as IRAS and CPF against you as a director of the company for failure to comply with regulations; and if you didn’t even know about this summons because your secretary in default did not inform you of it, a warrant of arrest will be issued against you. Imagine then, if you were heading off on a holiday and you get arrested at the airport because you have an outstanding warrant of arrest against you that you unwittingly attempted to evade, from the authorities’ perspective!